" This is an excellent and engaging study. The author does a fine job of seeking out black perspectives, and in examining the efforts of the many black activists, attorneys, and newspaper editors who pursued justice for black Birmingham." "Morrison’s book is an ultimate tribute to a man who is seldom mentioned in the Civil Rights Movement, but was a true civil rights hero and who despite torture and mental cruelty always proclaimed his innocence." — Bill Castanier, Lansing City Pulse. "Though Melanie framed her book around her father, to her credit it is not a story about him. Or about Nell Williams and her family. It is the story of Willie Peterson. It is a detailed, meticulously researched, riveting account of the horrific injustice he suffered. Murder on Shades Mountain ends as it begins, with a call to each of us to do our own work." 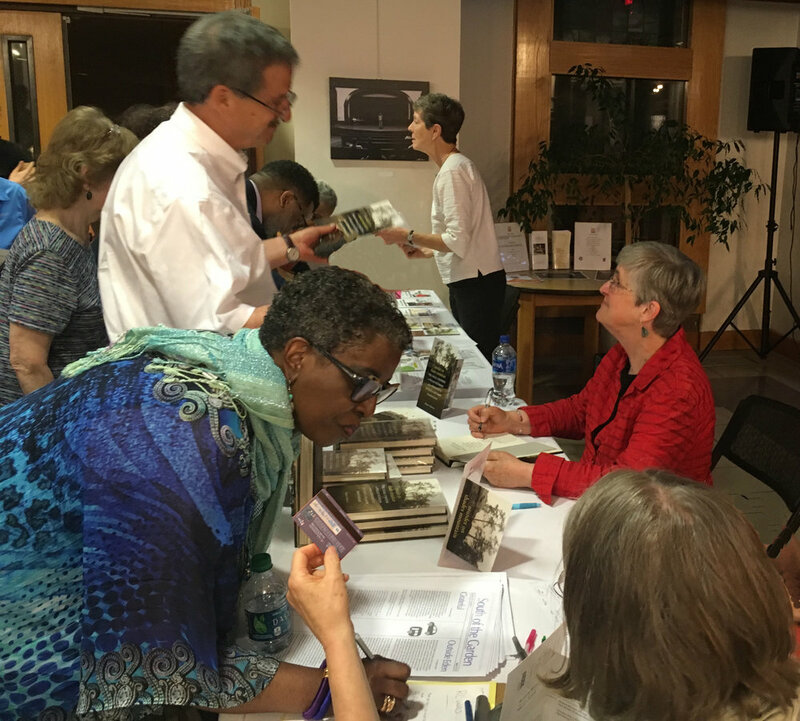 Signing books at the Hayti Heritage Center in Durham, N.C.
Karl Helicher of Foreword Reviews interviews Melanie S. Morrison about Murder on Shades Mountain (March 15, 2018). Frank Stasio, host of North Carolina Public Radio’s “The State of Things,” talks with Melanie S. Morrison about her new book, Murder on Shades Mountain (May 3, 2018). © 2015-2017 Melanie S. Morrison - All rights reserved. Site by Firefly Press with Bedford theme.